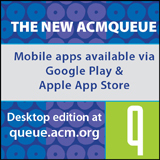 Welcome to the February 8, 2017 edition of ACM TechNews, providing timely information for IT professionals three times a week. Chinese companies are outpacing U.S. firms in the development of artificial intelligence (AI) technologies, according to reports from the U.S. government and others. The number of Chinese academic papers published on deep learning has surpassed the number of U.S.-published papers on the topic, while more AI-related patents are being submitted in China compared to the U.S. In addition, Shigeoki Hirai at the New Energy and Industrial Technology Development Organization in Japan says Chinese AI patent growth has overtaken the U.S. in terms of both quantity and quality. Other reports indicate AI, robotics, and the Internet of Things are spurring venture capital investment in China, which is expected to increasingly move into AI this year. The most successful Chinese AI effort is Baidu, which has founded a deep-learning facility in Silicon Valley, and whose work in speech recognition is considered unmatched. Baidu also is pursuing image recognition, autonomous driving, and language translation. Toyota, in partnership with Stanford University and the Massachusetts Institute of Technology (MIT), will pay $50 million over five years to fund research centers to build autonomous automobiles by focusing on artificial intelligence (AI) and robotics. Toyota executive technical adviser Gill Pratt says the work will concentrate on human-centric systems supplemented by technology, following an incremental strategy that adds automation to cars as it is developed. The technology will include interventional AI systems evoked when drivers need help. MIT professor Daniela Rus says her institute will research systems for driving under difficult conditions and perception-based navigation. Meanwhile, Stanford professor Fei-Fei Li says they will focus on decision-making, perception, and human interaction. She notes autonomous vehicle development demands broader research into areas such as the interface between occupants and vehicles. Pratt says Toyota's research project also will examine areas of future mobility and consider how technology can ease the mobility of persons, specifically senior citizens. Researchers at Hiroshima University, the National Institute of Information and Communications Technology, and Panasonic Corporation in Japan have developed a terahertz (THz) transmitter that can transmit digital data at a rate exceeding 100 Gbps over a single channel using the 300-GHz band. The researchers note the technology enables data rates at least 10 times faster than those offered by 5G mobile networks, which are expected to appear around 2020. Last year, the researchers demonstrated the speed of a wireless link in the 300-GHz band could be greatly enhanced by using quadrature amplitude modulation. This year, the researchers built upon their efforts to show a six-fold increase in the per-channel data rate, exceeding 100 Gbps. At this data rate, the entire content of a DVD can be transferred in a fraction of a second. Terahertz wireless technology could provide light-speed minimum-latency links supporting fiber-optic data rates, according to Hiroshima University professor Minoru Fujishima. 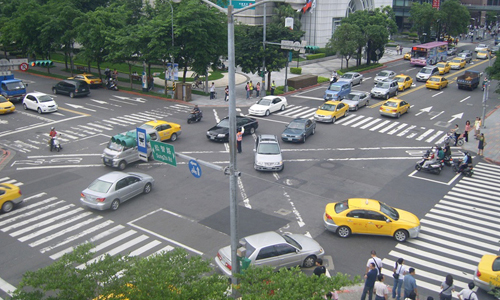 A team of researchers has addressed the challenge of computing optimal traffic light settings for city road intersections by applying traffic flow conservation laws on networks. To solve the mathematical optimization problem, the researchers employed a partial outer convexification approach, which involves the solution of a smoothed nonlinear programming problem with dynamic constraints and a reconstruction mixed-integer linear program lacking dynamic constraints. The technique computes traffic light programs for two situations on different discretizations. Partial outer convexification enables the problem to be divided into a nonlinear dynamic optimization problem without integer constraints and a linear mixed-integer program without dynamics. The researchers found two-stage solution candidates are computed faster and generate better results than those yielded by global optimization of piecewise linearized traffic flow models. 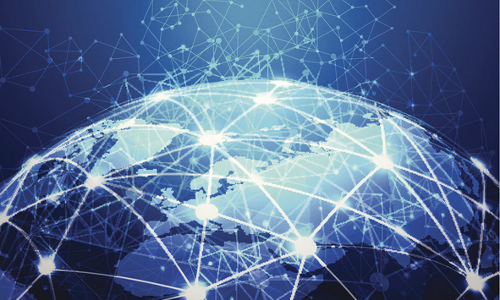 "Current research is more and more concerned with the interface between networked problems, statistical data evaluation, and engineering applications," says study co-author Simone Gottlich. Researchers at the Massachusetts Institute of Technology (MIT) have enhanced automated planning algorithms by encoding a machine-readable form of high-performing human intuition strategies. The result was a 10-percent to 15-percent performance improvement by competition-winning algorithms at an international conference. The team posed complex planning problems on satellite positioning and aircraft routing to 36 MIT students. They found most of the students' problem-solving strategies could be defined as linear temporal logic, which could be used to apply constraints to problem specifications. On numerical problems, the average improvement was 13 percent and 16 percent, respectively, on the flight-routing and satellite-positioning problems. On temporal problems, the improvement was 12 percent and 10 percent. "The plan that the planner came up with looked more like the human-generated plan when it used these high-level strategies from the person," notes MIT professor Julie Shah. The researchers currently are using natural-language-processing methods to fully automate the system. Students with disabilities are as likely as their typically developing counterparts to enter science and engineering fields in college, according to the U.S. National Science Foundation (NSF). The finding is part of NSF's annual study of students from traditionally underrepresented groups in science, technology, engineering, and mathematics (STEM) fields. As of 2012, about 2.4 million of the 21.8 million students pursuing an undergraduate degree reported having a disability. The data shows those with disabilities were significantly older than undergraduates without disabilities, with 36 percent older than 30, compared with only 24 percent of those without disabilities. In addition, students with disabilities were slightly more likely to attend two-year instead of four-year colleges. NSF also says students with disabilities were slightly more likely to study computer science and slightly less likely to pursue engineering when compared to their peers who did not report a disability. 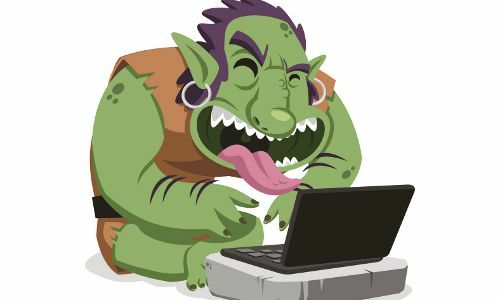 Researchers at Stanford and Cornell universities investigated whether Internet trolls are innately sociopathic or combative individuals, or if situational factors can influence ordinary people to act like trolls. In one experiment, 50 percent of participants who were in a bad mood after completing a difficult test and reading negative comments on a discussion forum engaged in trolling behavior on the forum. Meanwhile, just 35 percent of people who were in a good mood and saw neutral comments trolled the forum. Researchers then created a machine-learning algorithm to predict whether a user's next post would be flagged based on various factors. The findings showed the flag status of the previous post in the discussion was the strongest predictor of future trolling. The user's posting history and timing were less predictive, indicating the context in which users post is most likely to lead to trolling. Researchers at the University of Toronto (U of T) in Canada have developed a set of machine-learning algorithms to generate three-dimensional (3D) structures of protein molecules, which are crucial to the discovery of new drug therapies. Simplifying the protein modeling process enables researchers to study microscopic proteins that could not have been studied effectively in the past. Electron cryomicroscopy (cryo-EM) is used to take thousands of low-resolution images of a molecule from different positions. The algorithm then reconstructs a 3D architecture from the flat images. Existing techniques require the user to provide an accurate approximation of the molecule being studied, but the new approach eliminates the need for prior knowledge about proteins of interest. "Designing successful drugs is like solving a puzzle,” says U of T Ph.D. student Ali Punjani. "Without knowing the three-dimensional shape of a protein, it would be like trying to solve that puzzle with a blindfold on." Researchers at the University of Southampton in the U.K. are leading an international team in developing a way of combining anonymized data from mobile phones and satellite imagery data to create high-resolution maps to measure poverty. The researchers focused on rates of poverty and distribution across Bangladesh, analyzing a range of information relating to mobile phone usage. The researchers found that by combining mobile data and geospatial data from satellites, they were able to produce poverty predictions that are comparable with those made from traditional sources but with significant advantages. Mobile phone data, when paired with satellite data, can give a much more dynamic view of poverty and its geographic spread, according to Southampton's Jessica Steele. In addition, she says satellite data provides excellent information about living conditions in rural areas, while mobile data is better for densely populated cities. A broader view of artificial intelligence (AI) seeks to equip deep-learning neural networks to better deal with uncertainty via a Bayesian approach that feeds new evidence into existing models, performing functions at which neural networks do not excel. "There are problems in the domain of language and in driverless cars where you're never going to have enough data to use brute force the way that deep learning does," says Geometric Intelligence founder Gary Marcus. Startups are designing neural networks along a Gaussian process (GP) of statistical modeling to identify uncertainty. "Knowing that you don't know is a very good thing," says University of Edinburgh researcher Chris Williams. "Making a confident error is the worst thing you can do." One company is applying GPs toward building AI systems that can learn to navigate massively multiplayer games and other digital environments, with a long-term goal of eventual real-world navigation capability. Researchers at the University of Ottawa in Canada have discovered clues that could help administrators protect quantum computing networks from external hacks. The researchers were able to clone the photons that transmit information, specifically the single carriers of light known as qubits. The discovery undermines what was previously thought to be a perfect way of securely transmitting information, but also reveals promising clues into how to protect against hackers using the technique for malicious purposes. "What we found was that when larger amounts of quantum information are encoded on a single photon, the copies will get worse and hacking even simpler to detect," says University of Ottawa researcher Frederic Bouchard. The researchers also were able to show that ensuring photons contain the largest amount of information possible and monitoring observable noises in a secure quantum communication channel should help strengthen quantum computing networks against potential hacking threats. 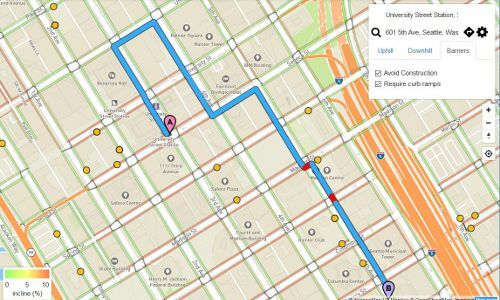 The University of Washington (UW) recently released an online tool called AccessMap that will generate accessible or pedestrian-friendly directions for Seattle wheelchair users or pedestrians with mobility issues. Users can customize their preferences to request only routes that have sidewalks with sloped "curb cuts" and that bypass construction sites and steep hills. UW researchers compiled and melded data pulled from numerous local and federal sources on street elevation, curb cuts, and other accessibility features to create a map of Seattle's sidewalks. Through the OpenSidewalks project, the team also is creating a set of tools that will enable users around the world to crowdsource and map detailed conditions on pedestrian walkways, such as information on sidewalk widths and surface conditions. Ten urban areas outside Seattle have developed active mapping communities within the project, including New York City, Washington, D.C., Boston, and Chicago. A wearable device under development at the University of Michigan provides continuous authentication for voice assistants, such as Apple's Siri or Amazon's Alexa. Voice assistants are difficult to secure and can be easily hijacked by impersonating the owner or playing recordings of the owner's voice. 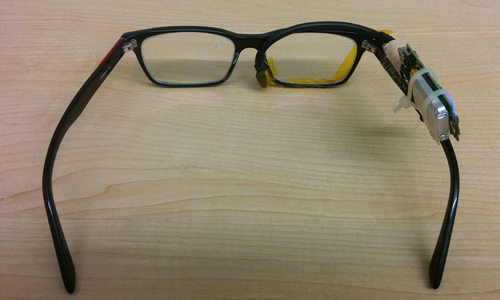 To confirm the speaker's identity, VAuth uses an accelerometer hidden in eyeglasses, earphones, or other wearables to collect vibrations created as the user speaks. An algorithm then compares the vibrations with the audio signal received by the voice assistant's microphone, ensuring the assistant executes only the commands that come from the owner. VAuth's authentication is continuous, so every voice message is screened. Researchers tested the device with 18 subjects saying 30 commands. VAuth was able to match vibrations with audio signals 97 percent of the time and thwarted all attempts to issue commands by someone other than a device's owner.